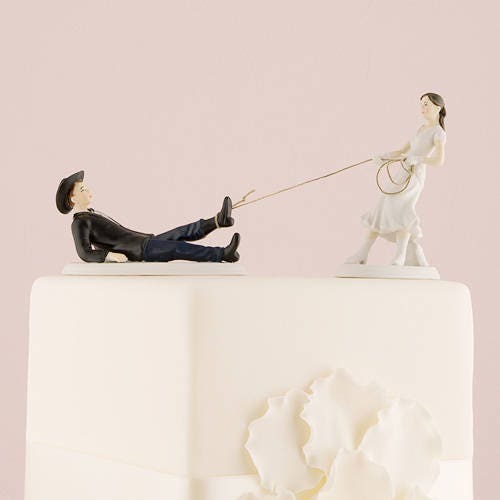 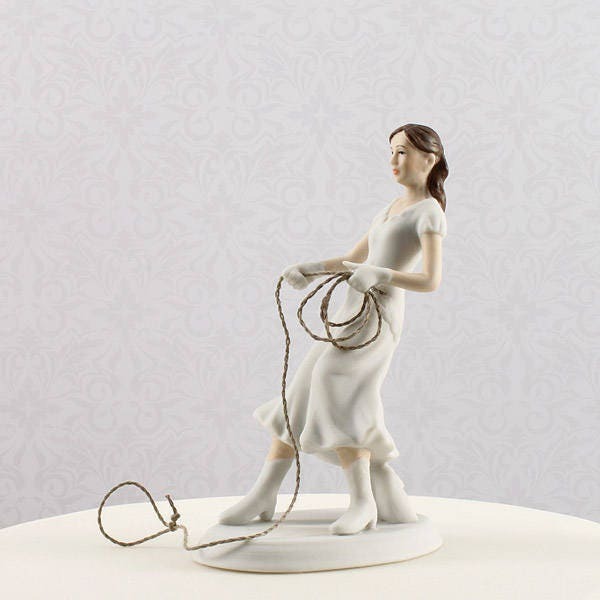 Western wedding cake topper features a whimsical bride in her white cowboy boots and gloves, lassos her cowboy groom with a 'real' rope! 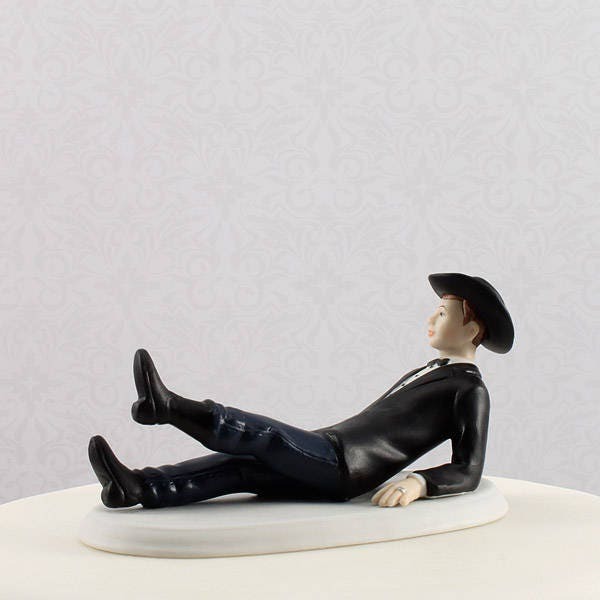 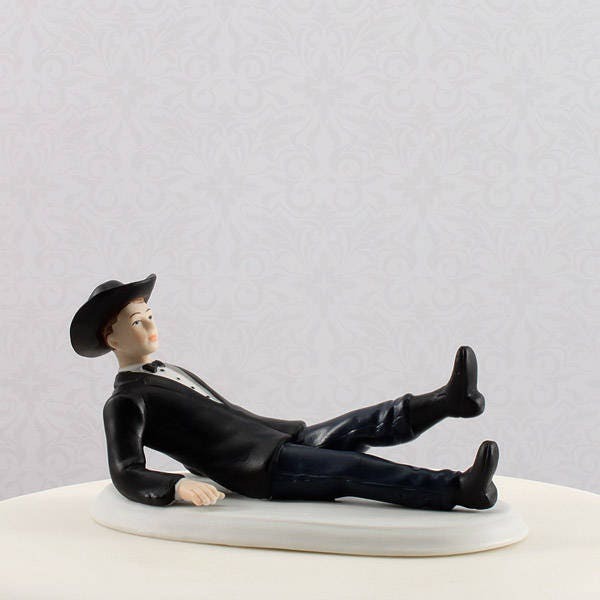 The perfect cake topper for a western themed wedding! 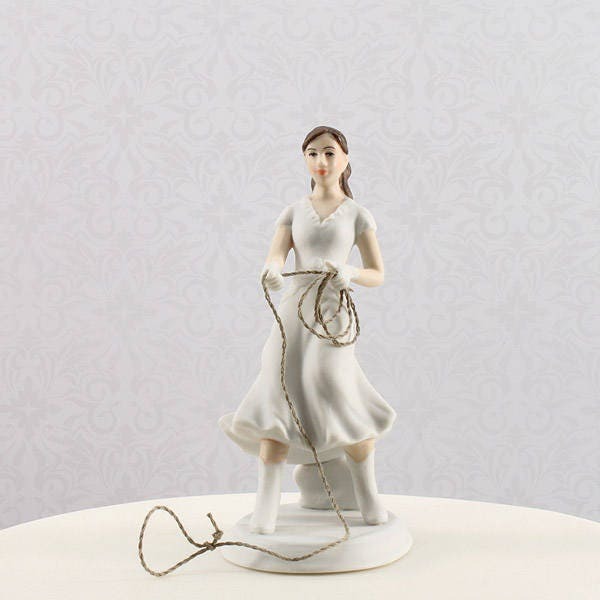 Painted porcelain. 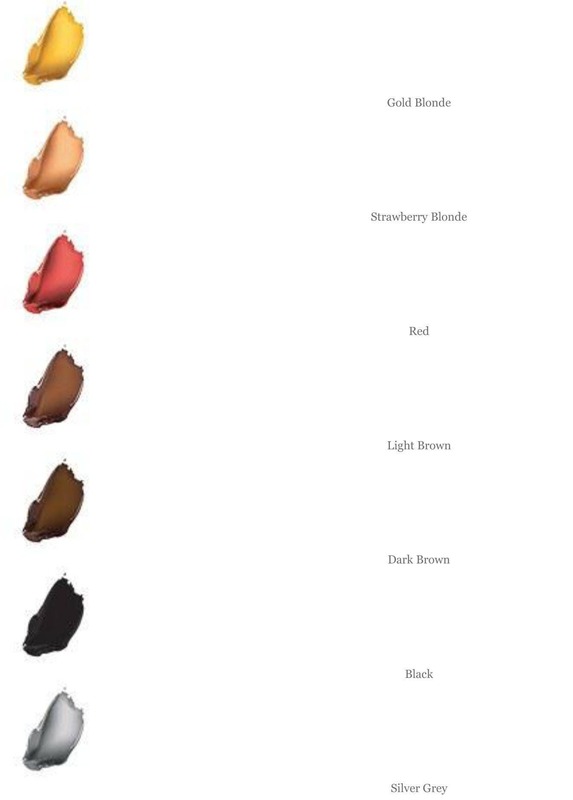 Select hair color of bride.